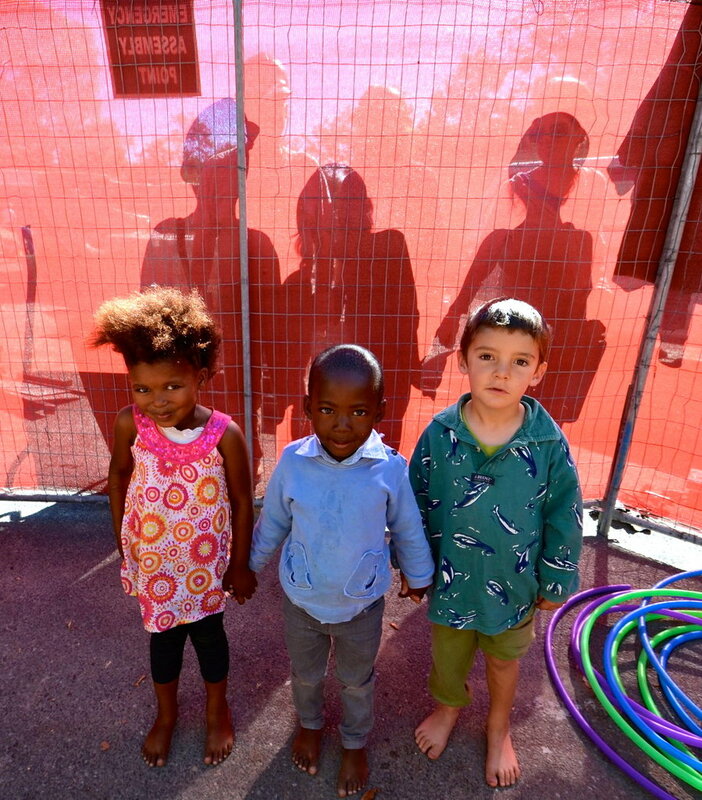 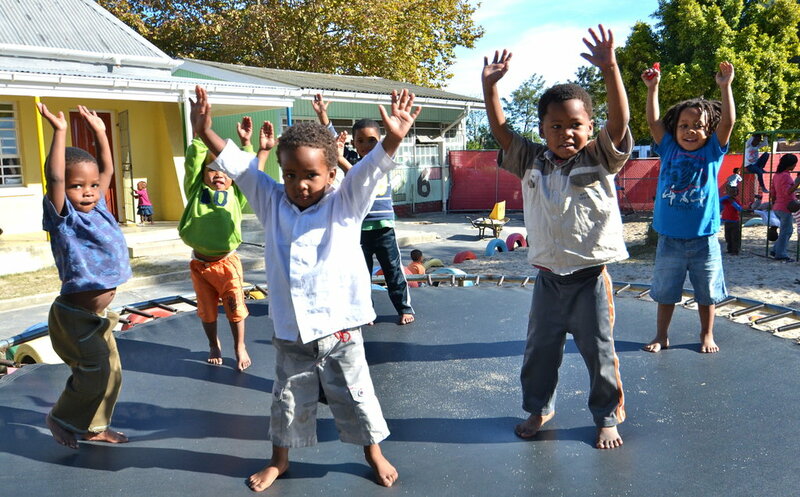 The Philippi Children's Centre is an oasis in a very poor farming community in Cape Town, South Africa. 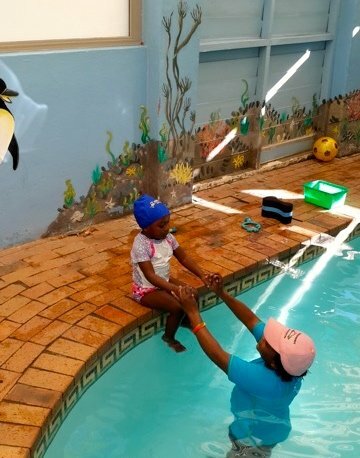 We recently completed a Swimming Academy that provides life-saving swimming lessons to the students and we hope will become an integral part of the school becoming a sustainable part of the community. 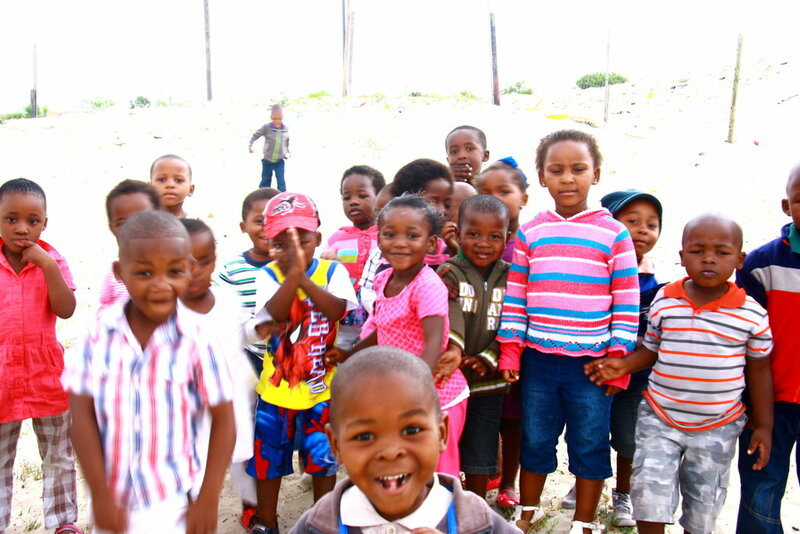 The Love to Langa swimming academy opened in 2017. 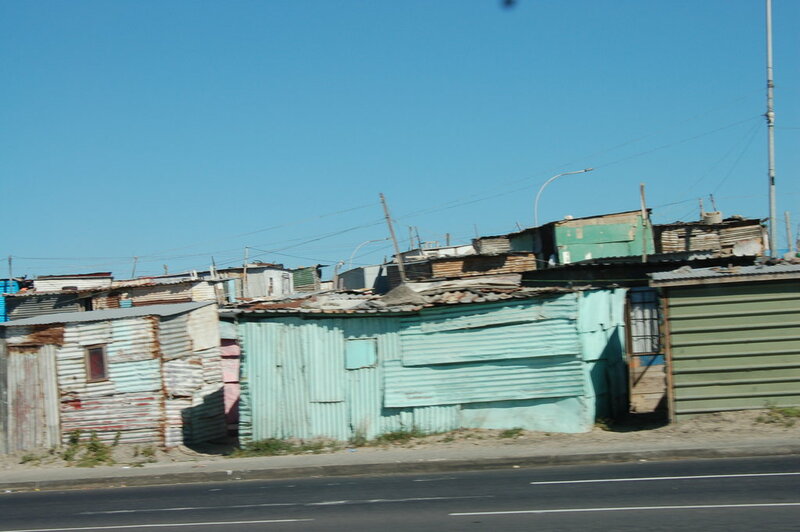 The Philippi farm area's unemployment estimate is a shocking 70% and malnutrition and other social ills that go with poverty pervade. 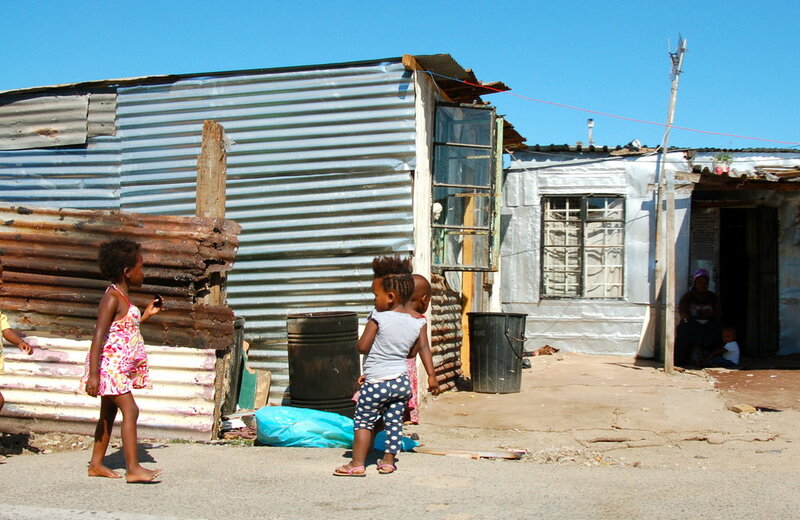 One of the most troublesome issues is the lack of access to education in the community. 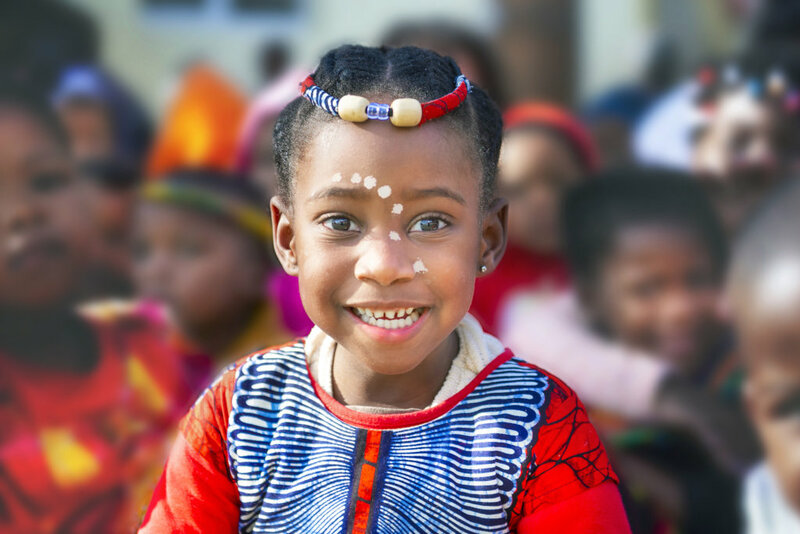 Severe health issues including HIV, TB, and babies suffering from fetal alcohol syndrome are on the increase and physical and sexual abuse is a regular occurrence in most households due to alcohol and drug abuse. 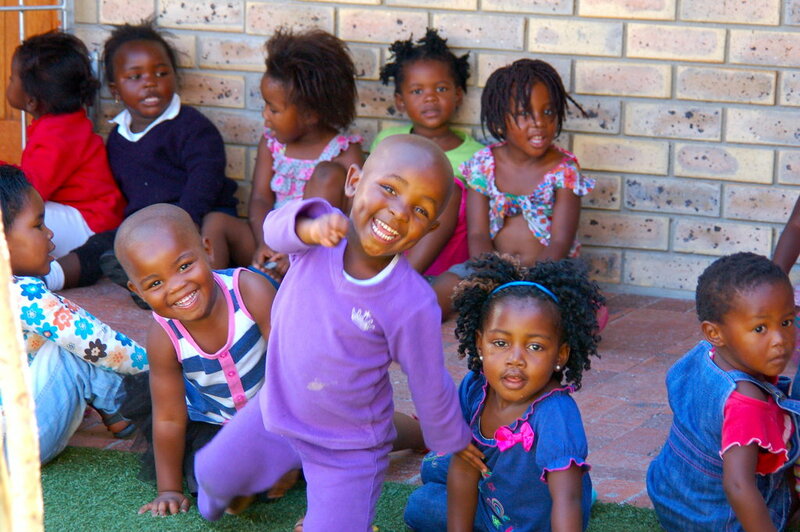 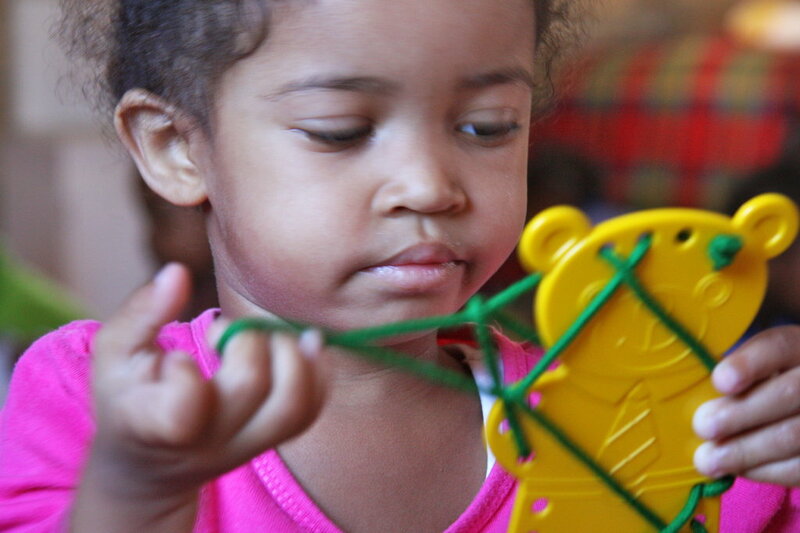 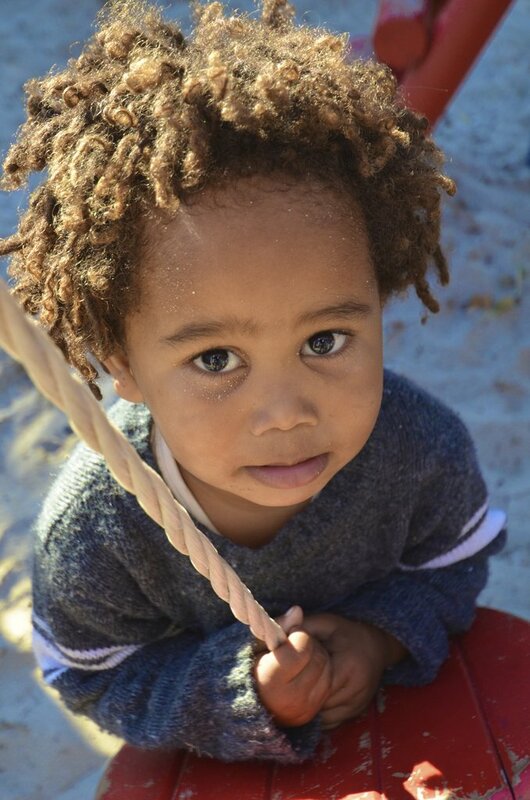 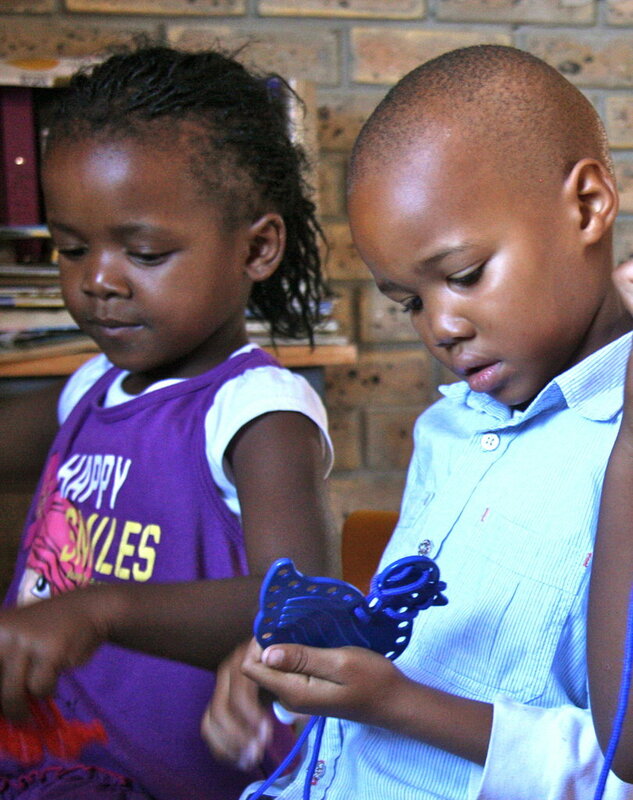 The Philippi Children's Centre serves disadvantaged children aged two months to six years. 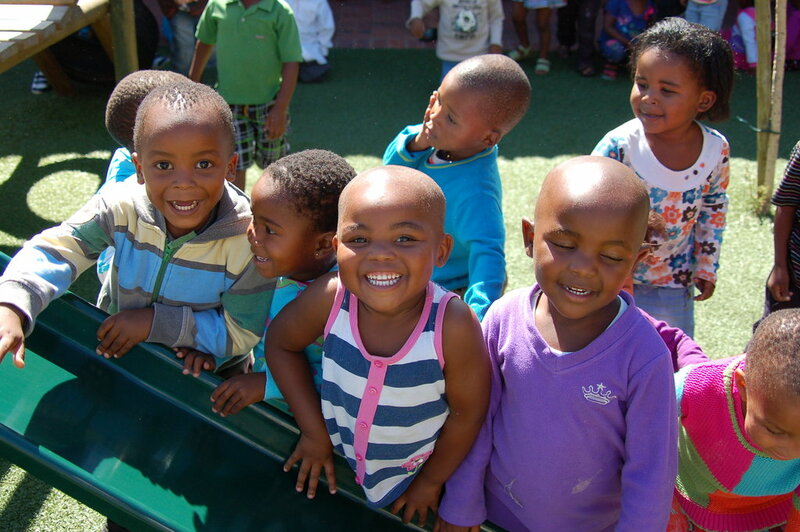 The Centre provides transport and meals, and is taking great care to involve parents and the wider community in the running of the centre. 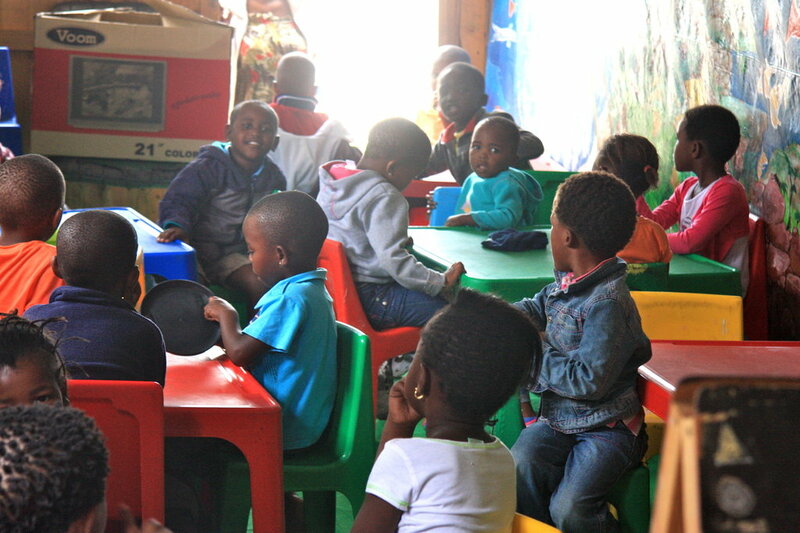 Thanks to our donors, we have already built a new classroom and participated in the school's renovation. 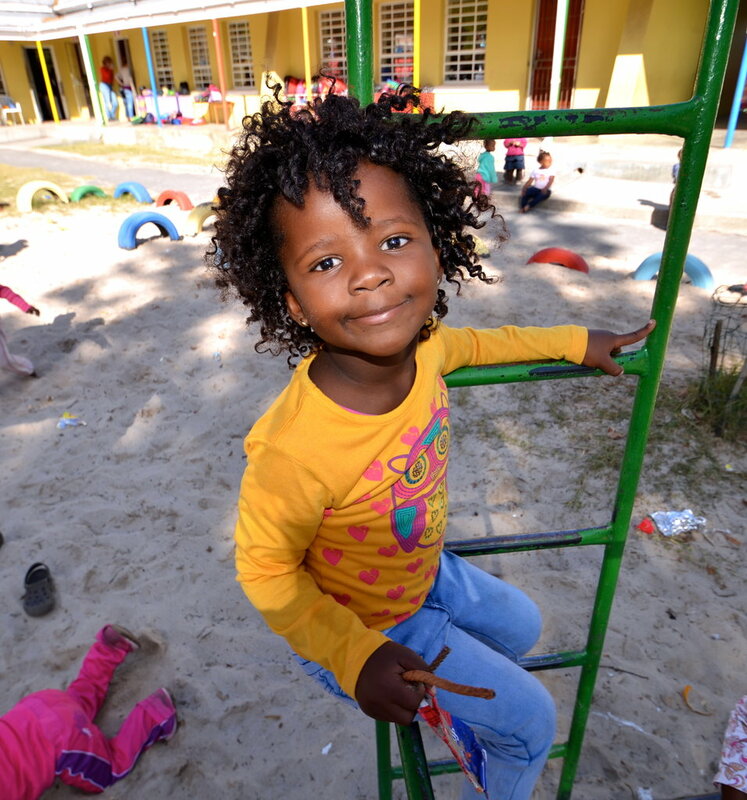 We are now focused on the swimming academy and raising funds to provide scholarships to children who would not otherwise be able to afford to go to school. 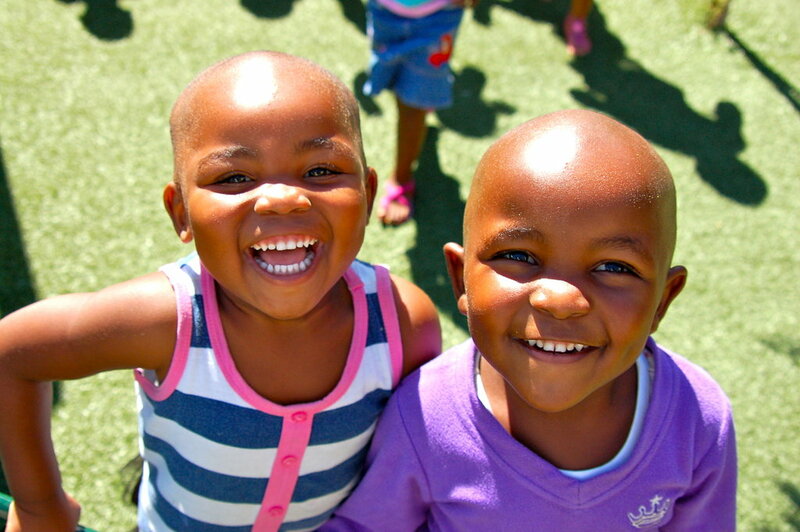 As education is the cornerstone for success in life, providing these children with access to a solid start can have a lasting impact on the future of the community. 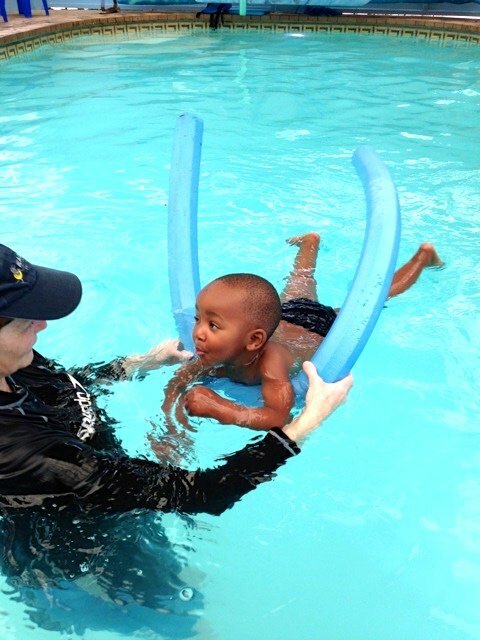 The swimming academy will provide training and jobs for young people in the community.